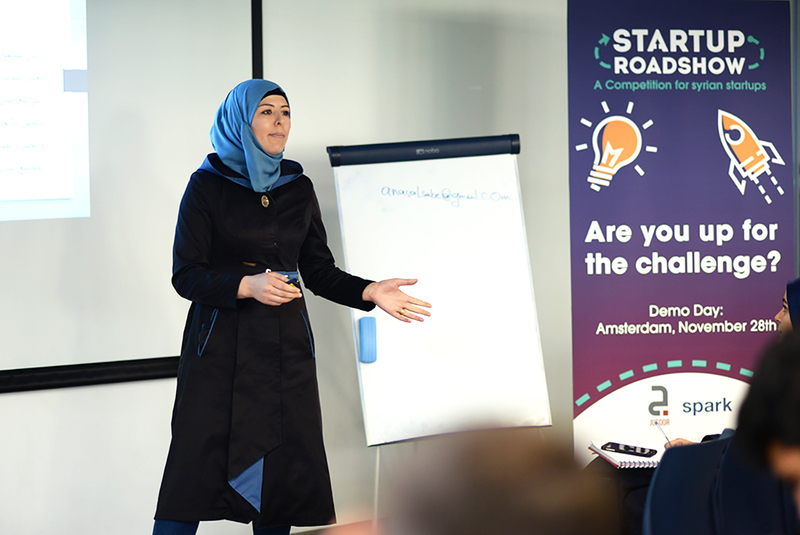 The Startup Roadshow Has Begun in Lebanon - and You Can Still Apply! Startups Without Borders > Blog > Blog: Masonry with Sidebar > News & Stories > The Startup Roadshow Has Begun in Lebanon – and You Can Still Apply! 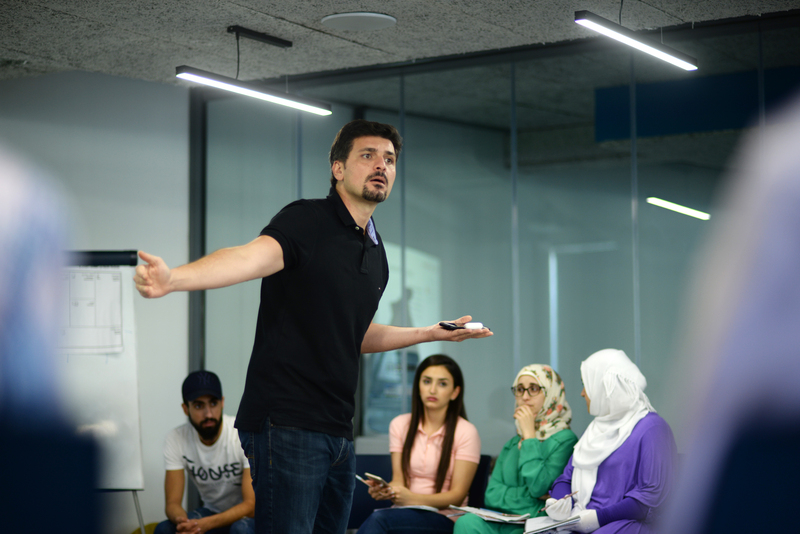 The competition for Syrian entrepreneurs in the Middle East has just started the first of its startup bootcamps in Lebanon, as 20 teams of brave startups battle it up to pitch at the finale in Amsterdam. Twenty teams of valiant Syrian entrepreneurs have just taken to Beirut Digital District, where the Startup Roadshow kicked off the competition for Syrian startups in the Middle East. Their startups are tackling some of the world’s most pressing problems, and innovating to disrupt a wide variety of industries, form BioTech to EdTech. The bootcamp, a 5-day training for entrepreneurs to build business skills, kicked off on September 22nd at the heart of the Lebanese capital and is hosting their Demo Day today, on September 27th. At the end of the bootcamp two winning startups in the Idea Stage and the Early Stage tracks will get an all-expenses paid trip to Amsterdam, to compete for the final prize. 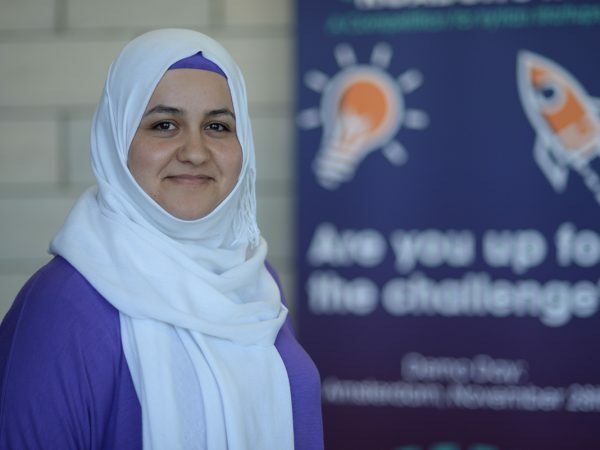 “We’ve seen very promising startups in the first days of the program in Beirut. Every time we get back to this city we are very amazed by the work the Syrian founders are putting to achieve their dreams we are looking forward to seeing what the level of competition in the other cities,” says Karim Samakie, Jusoor Entrepreneurship Program Advisor. Participating startups include iRobot, an educational project for kids under 18 to design their own robot; Smartchef, a kitchen tool to measure temperature and weight through a built-in program; HomyCom, a startup building fully equipped smart systems for homes and factories; and HAND (Humanitarian Access Network for Development), a consultancy network for NGOs using agile management and technological integration to improve institutional work and data-driven management. 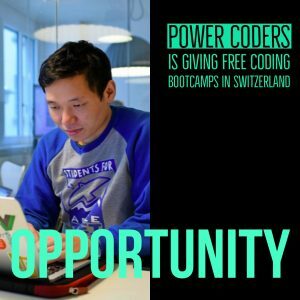 The competition is organized by Jusoor and SPARK, who have joined forces to host a series of 5-day bootcamps across 5 cities in the Middle East: Beirut, Erbil, Amman, Gaziantep and Istanbul. 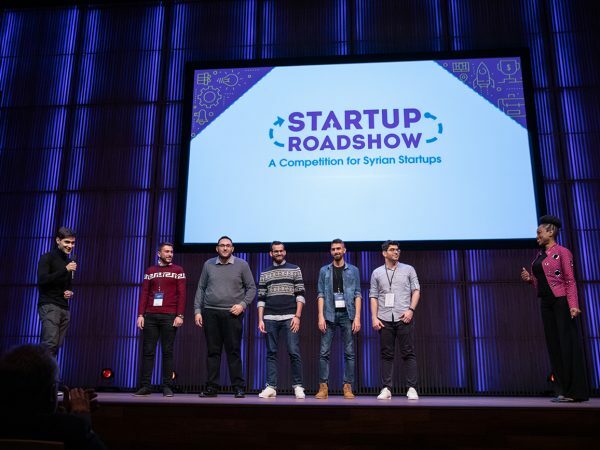 Syrian entrepreneurs will get the chance to access training and mentorship, while running up for a chance to compete at the final Demo Day, during the SPARK Ignite Conference in Amsterdam, on November 28th. 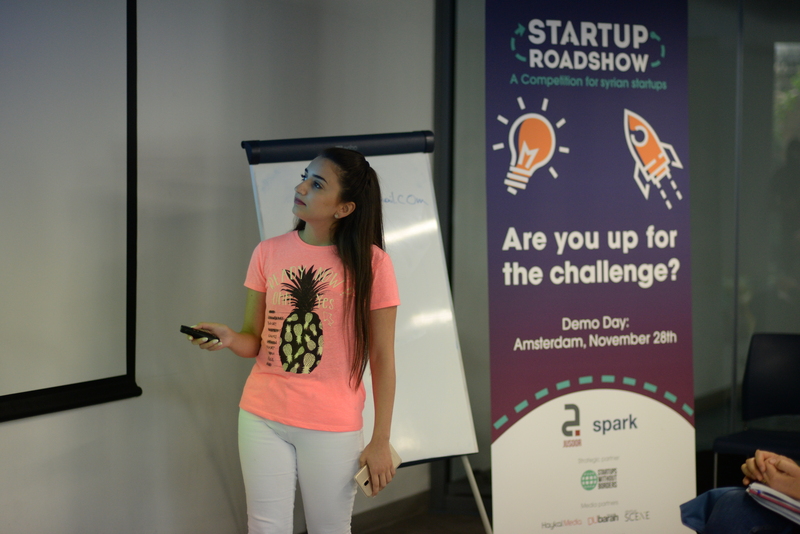 Syrian entrepreneurs are running up for a chance to compete at the the SPARK Ignite Conference in Amsterdam. 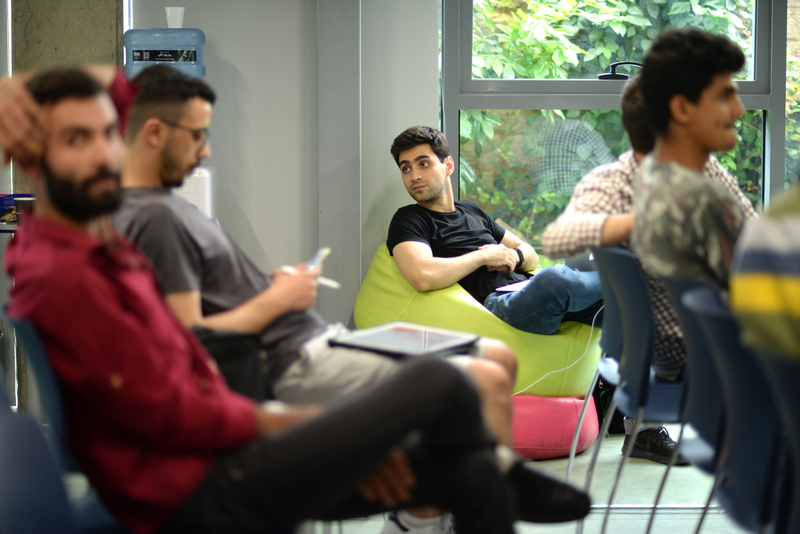 The Beirut bootcamp includes stellar mentors, including Saeb Nahas, Manager of Phoenician Funds, Mike Clarke, Program Director of the Humanitarian Innovation Lab, Layal Jebran, founder of Moubarmij, and Ahmad Sufian Bayram, Regional Manager of Techstars in the MENA region and Managing Director of Jusoor. 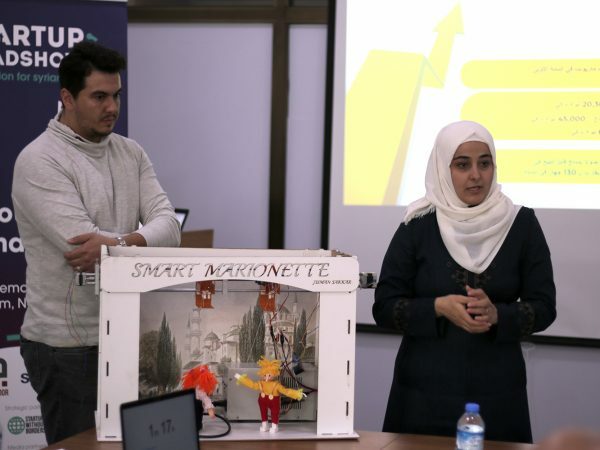 “This will be a role model to support entrepreneurs from refugees and other marginalized groups in Syria’s neighboring counties,” says Mohammed Skaik, SPARK’s Regional Entrepreneurship, and Economic Empowerment Manager. Moving on to its next city, the roadshow will take place in Erbil on September 29th, to then move on to Amman on October 6th, Gaziantep on October 13th and Istanbul on October 20th. Two winning teams from each location will take to the global stage, as they get an all-expense covered trip to Amsterdam to pitch at the Ignite Conference, held on November 28th.Participants will also get u pto $8.000 in cash prizes, as well as cool perks, including Google Cloud Services, Facebook Ads, co-working space membership, and free design for their Pitch Deck. 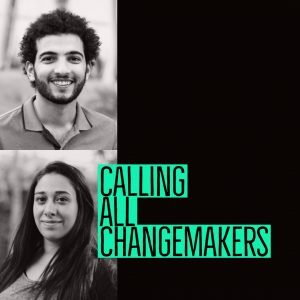 Applications are still open for teams that have at least one Syrian founder, either in the Idea Stage – for entrepreneurs who have not yet created a startup – or the Early Stage track – for entrepreneurs who have launched their business. Interested candidates can apply here, before October 5th.